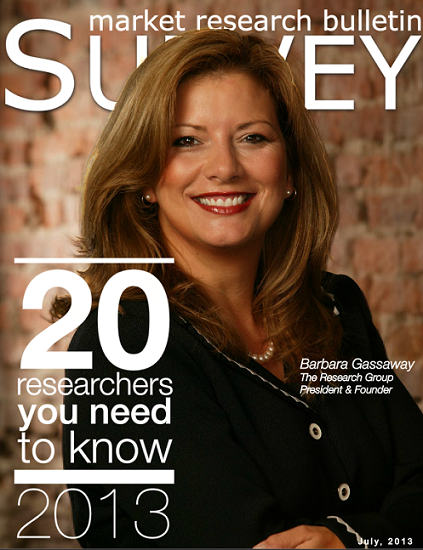 We are very excited to announce that our CEO, Barbara Gassaway, was recently recognized as one of “20 Researchers You Need To Know” by Survey Magazine. The article highlights her experience and passion in market research as well as her innovative methodologies. Barbara has exhibited the qualities necessary to be recognized as an expert in the market research field, and we could not be more proud of her. To view the article in Survey Magazine, please click here. This entry was posted on Monday, July 22nd, 2013 at 8:13 pm. Both comments and pings are currently closed.